You are currently browsing the archives for the Facials category. Intraceuticals Oxygen Facial treatments utilize refined Hyperbaric Oxygen to promote the delivery of treatment specific solutions to the skin. The serum applicator creates a hyperbaric pressure bubble to initiate osmotic hydration and ingredient delivery. Intraceuticals revolutionized the use of multi-weight Hyaluronics as both exceptional hydrator as well as an effective delivery system. 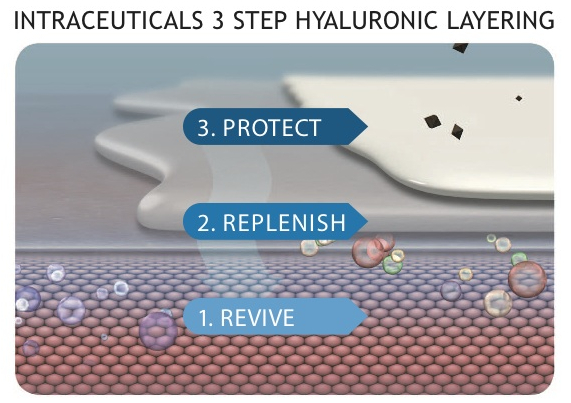 The patented 3-step hyaluronic layering combines 3 specific combinations of hyaluronics, which work together to provide perfect hydrodynamics. 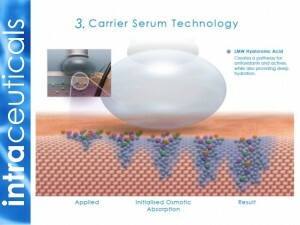 1) Low Molecular Weight Hyaluronic Acid – small, fast and easily absorbed to deeply hydrate skin. 2) High Molecular Weight Hyaluronic Acid – draws moisture from the air and binds moisture to skin. 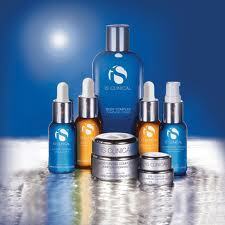 There are a variety of Intraceuticals Oxygen Facial treatment that may be used to fit individual needs. Treatments may be “boosted” with collagen, vitamins and antioxidants or upgraded to include an Atoxelene targeted treatment for lines. In a clinical setting treatments are often customized by adding an enzyme treatment, mild peel, derma planing or microdermabrasion for exfoliation. 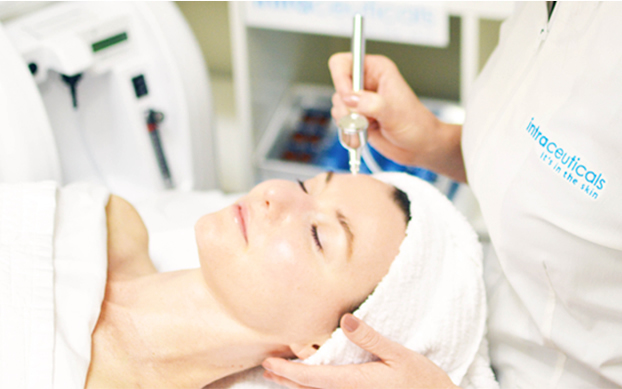 Oxygen facial treatments are also excellent in conjunction with skin tightening treatments such as Forma or ReFirm . Ultimate in hydration, the rejuvenate serum is formulated with hyaluronic acid, vitamins A, C, E and antioxidants to lift tone and hydrate skin. Appropriate for all skin types, and excellent as part of a skin recovery program after chemical peels, non-ablative laser resurfacing and IPL. Combines botanical brighteners and super concentrated vitamin C to brighten and balance uneven skin tone. Leaving skin more luminous, toned and radiant. Refine the appearance of problem prone skin. Formulated with salicylic acid, vitamin C and chamomile extract to reduce irritation and clarifying pores. Ginger root extract reduces redness and calms irritation. Amino acids instantly firm, lift and plump, reducing the appearance of fine lines. 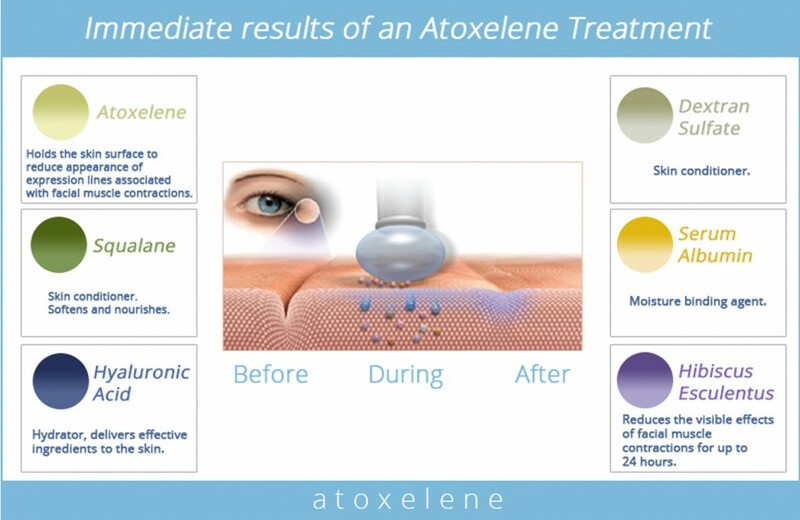 This targeted treatment may be added to Rejuvenate, Opulence or Clarity Sensitive Treatments. This treatment does require additional time,and is and additional cost. Enhance your Rejuvenate treatment results with your personally prescribed Rejuvenate Booster+ Treatment. There is typically an additional charge for boosted treatments and additional time may be needed. Antioxidant – Revitalize and balance dull and stressed skin with natural super fruits from Australian Rainforest. Super hydrators Hyaluronic Acid and brown algae provide a burst of hydration, to hydrate and soften the lips and skin surrounding mouth, defining the lip line. The Intraceuticals Lip masks may be added to an oxygen facial or purchased for at home use. Hydrolysed plant proteins helps to soothe and hydrate and tighten tired, puffy and overworked eyes.The Intraceuticals eye masks may be added to an oxygen facial or purchased for at home use. Find an Intraceuticals Clinic near you. Hollywood A-listers love Oxygen facials, fans include… Fergie, Sienna Miller, Heather Locklear, Donatella Versace, Gwen Stefani, Eva Longoria, Justin Timberlake, Gwyneth Paltrow, Victoria Beckham, Naomi Campbell and Katy Perry. It is even rumored that Madonna is such a fan of the Oxygen treatment that she actually has two machines in her home. So, what is all the fuss about? Oxygen infused skin treatments instantly leave the skin plump, firm, hydrated and radiant. Oxygen is an excellent nutrient for collagen and elastin, the body uses its own oxygen supply and other nutrients to increase the strength of the collagen and elastin fibers. When used topically, oxygen treatments can reduce the effects of aging by actually nourishing the skin with essential vitamins, minerals, amino acids and enzymes all of which are propelled deep into the skin with pressurized pure oxygen. The result is an instant increase in the suppleness and elasticity of the skin. What skin types benefit from oxygen treatments? Nearly all skin types can benefit from an oxygen skin treatment regardless of age, gender or ethnicity.Oxygen treatments are especially ideal for smokers and those with acne prone skin and can be used on skin that has been treated with AHA’s, Reitn-A and Acutane. A true Oxygen Facial uses actual pure oxygen, compared to other so called “oxygen facials” that use hydrogen peroxide. Although I do not think there is anything wrong with products that use hydrogen peroxide, it is simply a different treatment all together and can not be compared. I would like to mention that products containing hydrogen peroxide are generally not recommended for darker skin types. A typical oxygen treatment focuses on exfoliation, hydration, and nourishing the skin, however oxygen treatments can be customized to fit needs of each persons skin. Oxygen treatments can be added to enhance the results of other skin treatments like microdermabrasion, Blue Light acne treatment and energy based skin tightening treatments. Oxygen therapy is also a great post-procedure treatment to help calm and sooth skin and promote healing. 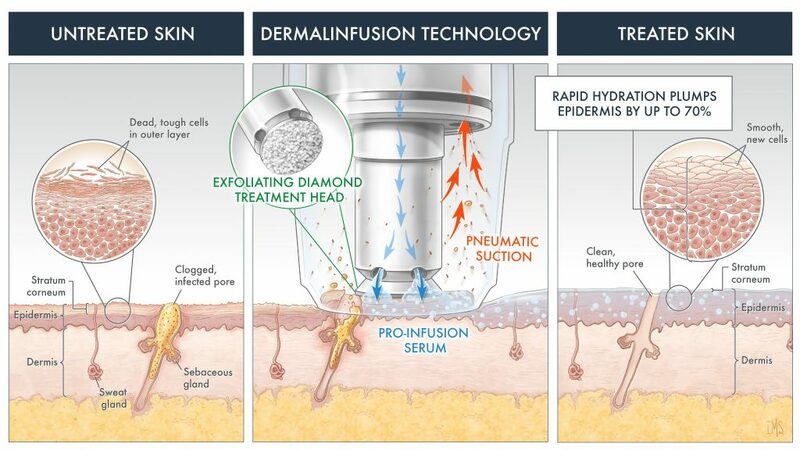 The skin is hydrated using a unique process in which specially formulated enzymes and mineral solutions are used to help draw moisture to the skins surface, thus providing skin cells with more nourishment than ever before possible. Oxygen, in conjunction with vitamins and minerals are propelled onto the skin to nourish and revitalize the skin cells. After the treatment, you will notice a “tight” sensation of the skin, and the skin will look and feel moist to the touch. Bacteria thrive in an environment deprived of oxygen, when you introduce oxygen into the skin it acts to eliminate bacteria. Oxygen skin treatments also promote skin healing and reduce inflammation. A professional acne treatment system utilizing pure oxygen, along with proven acne-fighting ingredients work to kill acne causing bacteria, promote healing of acne lesions and calm and sooth inflamed skin. Microdermabrasion is a form of mechanical exfoliation or micro-resurfacing, that utilizes a specific mechanical medium to gently abrade the top most layer of skin along with adjustable suction. 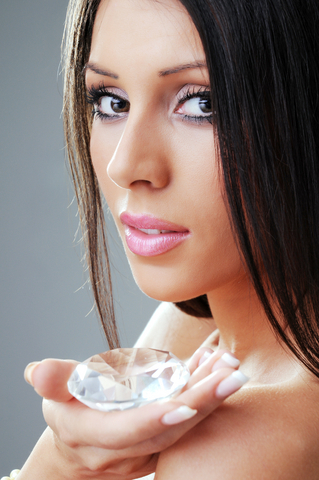 There are many mechanical mediums used for microdermabrasion including: Aluminium Oxide Crystals, Sodium Bicarbonate Crystals, Sodium Chloride Crystals, Bristle tips, natural and synthetic Diamond Tips. 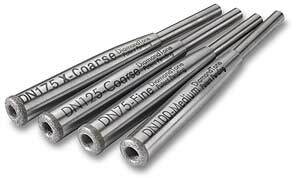 DiamondTome is a natural, non-partical form of microdermabrasion that utilizes natural diamond chips at various levels of coarseness attached to the tip of a wand. DiamondTome eliminates the powders and crystals, by using the polishing action of diamond chips and the cleaning action of controlled vacuum. This non-particle form of microdermabrasion offers a clean controlled procedure. When you have a Microdermabrasion facial treatment at Paradise Valley Skin Klinic, you will enjoy the added benefits of full custom facial and dermaplaning. The microdermabrasion procedure removes the top most layer of skin by gently exfoliating the skin with natural diamond chips while at the same time vacuuming the dead skin cells away, in a sterile and controlled manner. This exfoliation promotes the growth of healthy new skin cells. You will immediately experience cleaner, softer and smoother skin after with each treatment. Our skin is constanly growing, similar to our hair and nails. The normal cycle of skin cell turn over is about six weeks. This means that a new skin cell is produced, and slowly moves to the surface of the skin (stratum corneum), then is naturally sloughed or exfoliated off and replaced by a new skin cell. As the skin ages the process of skin cell turn over slows down and dead skin cells build up on the surface of the skin. As the stratum corneum becomes thick with a build up of dead skin cells, this skin will have a rough dull appearance and texture. Pigmented skin cells also becomes more dense causing hyperpigmentation, such as melasma, freckles, sun spots or any skin discoloration to look worse. Dead skin cells can also build up in the pore contributing to blackheads, whiteheads and acne breakouts. When the skin is exfoliated with microdermabrasion the dead skin cells are immediately removed from the surface of the skin, and the fibroblast is stimulated to produce collagen. 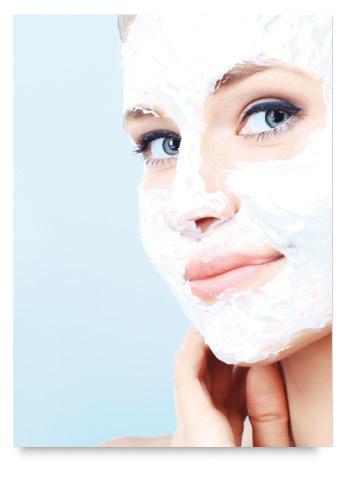 Exfoliation is a way of speeding up the process of skin cell turnover. Removing dead skin cells from the skins surface will allow for better penetration of topical skin care products, you can actually double the effectiveness of your products. Exfoliating the skin will also reduce the appearance of hyperpigmentation, fine lines, superficial scars and help combat acne. Is there any discomfort or downtime? No. 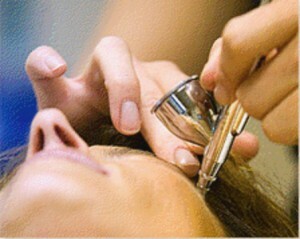 Microdermabrasion with the DiamondTome is very comfortable, most people actually enjoy the way it feels. Microdermabrasion feels similar to the “scratchy” surface of a cats tongue, along with mild suction. One advantage to microdermabrasion is there isn’t any down time. You can have a microdermabrasion on your lunch break, reapply makeup and return to work. Unfortunately, there are some exaggerated claims to microdermabrasion benefits. It’s important to have a realistic expectation for skin treatments. Microdermabrasion is a fairly superficial form of exfoliation compared to chemical peels and laser resurfacing. Each technique has unique benefits and has a special place in skin care. Microdermabrasion is intended to exfoliate the skin without downtime or discomfort. Treatments can be done on a regular basis to maintain the skin and performed between other skin treatments to expedite and enhance results. There are limits to microdermabrasion, it does not reach skin below the stratum corneum, even if done once a week it will not have an effect on the deeper layers of skin. 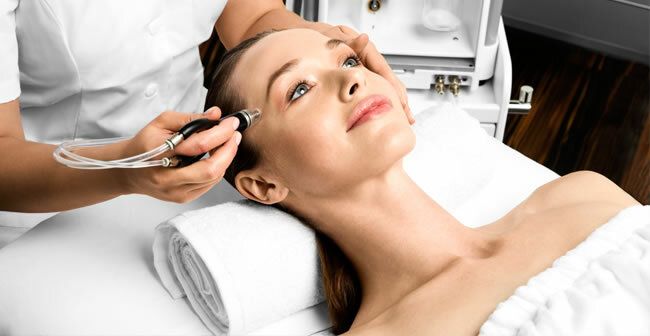 It is necessary to reach skin cells at deeper layers to treat many skin conditions, for this reason microdermabrasion can not be used to replace laser resurfacing procedures or chemical peels. Microdermabrasion alone will not eliminate hyperpigmentation. Exfoliation will remove the dense layers of dead skin cells on the skins surface, by removing these layers, pigmentation will be less dense and the appearance of skin discolorations will be reduced. The discoloration is still there it just appears lighter because it is less dense. As the skin continue’s to “grow” and as the stratum corneum builds back up, the pigmentation will return. Your skin care professional can help you select topical agents to help better treat skin discolorations. No, these products generly use crystals similar to those used in Microdermabrasion treatments. They are basiclly facial scrubs, and don’t exfoliate skin to the same level of a Profesional Microdermabrasion treatment. Proffesional treatments use equipment that allow for controll of the negetive pressure or suction used as well as the release of abrading crystals or the abrasiveness of wand. The technique used also plays a role in the effectiveness of treatment. Awakening your senses, this phenomenal treatment incorparates both active and soothing formulas, which display aromas of warm cinnamon and spice as well as cool peppermint. The centerpiece of this remarkable treatment system is a combination of two therapeutic masques. The Resurfacing and Rejuvenating masques are followed by a unique combinations of serums and cremes. The rich warming Intensive Resurfacing Masque is designed to rapidly and safely exfoliate the skin, thereby reducing fine lines, smoothing, softening, promoting circulation and encouraging skin cell turnover. This professional treatment mask contains several powerful ingredients including: Glycolic Acid (15.5%), Lactic Acid, Citric Acid, Malic Acid, Retinol, Niacinamide (Vitamin B3), and potent antioxidants including Green Tea Extracts. This resurfacing treatment works to combat acne and aging skin, as it provides gentle exfoliation when you can’t afford the time of a chemical peel. 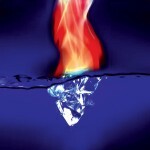 You can continue the fire and ice treatment at home. * You may also want to add IS Clinical White Lightening Serum to treat hyperpigmentation. Dermaplaning also known as epidermal leveling, microplaning or bladeing, is a gentle form of manual exfoliation. A surgical blade is used to gently scrape facial skin removing the outer most layers of dead skin cells as well as fine facial hair, leaving skin completely smooth and baby soft. Exfoliating the skin stimulates the production of new skin and allows for better absorption of topical skin products. Dermaplaning can be done as an independent treatment or used to enhance other treatments such as chemical peels. Dermaplaning is completely painless in-fact most people say it feels good and there is absolutely no down time. Treatments only take about 30 minuets and regular blading treatments are scheduled about 3-4 weeks apart. How does the hair grow back? Despite popular belief, the hair does not grow back thicker. 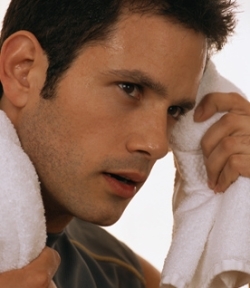 Fine facial hair is known as Vellous hair and when it is shaved, cut or removed it grows back the same way. If there is any dark, coarse facial hair present, I usually recommend laser hair removal. Dermaplaning can be used to remove coarse facial hair, but keep in mind that it will grow back the same way. I don’t recommend dermaplaning for acne skin. Acne begins in the hair follicle and when the hair is removed it can aggravate or stimulate acne breakouts. Microdermabrasion is another form of manual exfoliation, and it is more appropriate for acne prone skin.